In 1937 Shanghai, the Paris of Asia, twenty-one-year-old Pearl Chin and her younger sister, May, are having the time of their lives. Both are beautiful, modern, and carefreeuntil the day their father tells them that he has gambled away their wealth. To repay his debts, he must sell the girls as wives to suitors who have traveled from Los Angeles to find Chinese brides. As Japanese bombs fall on their beloved city, Pearl and May set out on the journey of a lifetime, from the Chinese countryside to the shores of America. Though inseparable best friends, the sisters also harbor petty jealousies and rivalries. Along the way they make terrible sacrifices, face impossible choices, and confront a devastating, life-changing secret, but through it all the two heroines of this astounding new novel hold fast to who they are: Shanghai girls. "See's skillful plotting and richly drawn characters immediately draw in the reader, covering 20 years of love, loss, heartbreak and joy while delivering a sobering history lesson this is an accomplished and absorbing novel." 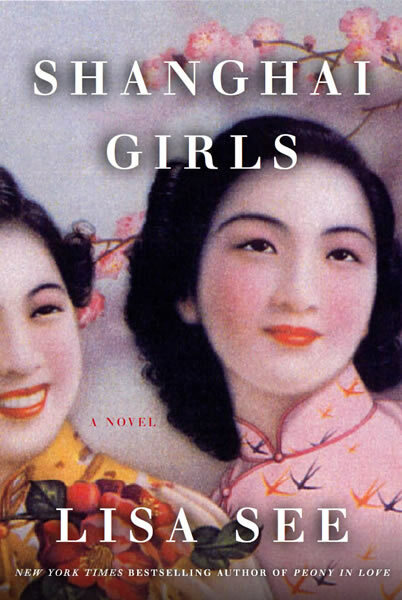 "Lisa See's Shanghai Girls is much loftier than its cover arts stunning portrait of beautifully adorned Asian women. The author of Snow Flower and the Secret Fan has written a broadly sweeping tale that opens in Shanghai in 1937. The detail is thoughtful and intricate in ways that hardly qualify this book as the stuff of chick lit. Still, its heroines are two clotheshorse sisters who work as models. And they speak the universal language of the genre during the early part of this envelopingly dramatic, two-decade-long story."